You’re visiting Dubai and you want to talk the talk and walk the walk. Having a little bit of Arabic under your belt is a great way to do that. 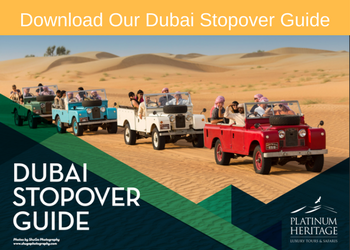 You’ll especially want to know some of the key phrases when you experience the famous “Arab hospitality”. From the minute you meet someone until the time you say goodbye, you’ll feel the hospitality here. And it’s not just about saying “hello”. It’s the Arabic coffee greeting and the offering of rose water. You always feel welcome! So, if you want to be able to reciprocate the hospitality of the good people of Dubai, knowing a little Arabic doesn’t hurt. For instance, when men greet one another with a handshake, they often come face-to-face to let their noses touch. The right hand is always used, as the left is considered unclean. Quick note: if someone of the opposite gender refuses to shake your hand, don’t worry, you didn’t do anything wrong. Some people here just believe men and women should not greet each other with physical contact. It’s fine to address a group of people, but make sure you give everyone a personal greeting as well. This will go a long way in terms of politeness. Ahlan (hello). This can be used for anyone at any time of the day. Put your hands together as you approach them, and kiss them on the cheeks saying “Ahlan”. Traditionally, ladies will only kiss ladies and men kiss men. This also depends on the relationship between the people. “Ahlan Wa Sahlan” (welcome) is the more formal version of “Ahlan”. The most common reply is “Ahlan bik” to a male or “Ahlan biki” to a female. To reply to more than one person, say, “Ahlan bikum. Marhaba (Welcome) It comes from the word “rahhaba” which means “to welcome”. The common reply is “Marhaban bik”, “Marhaban biki”, and “Marhaban bikum” to a male, female, and more than one person respectively. You can also greet people according to the time of the day. In the morning, you can say “Sabah al-khayr” meaning, “good morning”. Unlike in English greetings, there are several replies to this greeting in Arabic, depending on the mood and creativity of the speaker. The most common reply is “Sabah an-noor” meaning, “morning or light”. The speaker may tweak “morning of light” to “Morning of joy”, “Morning of beauty”, “Morning of the rose”, and so on. “Good evening” pretty much follows the same pattern. “Misa’ al-khayr” is replied to with “Misa’ an-noor”. The “an-noor” can be replaced depending on the mood. “Good night” is expressed with “Tisbah ‘ala khayr” roughly meaning, “wake up to the good” and the responding reply is “Wa anta/anti min ahloo” meaning, “and may you be one of the good”. There are other ways Arab hospitality is expressed, namely rose water and Arabic Coffee. 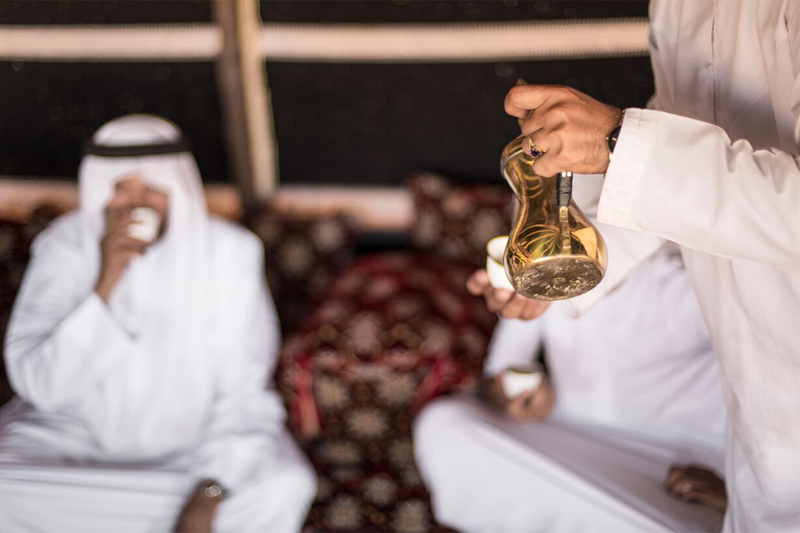 Rose water is an old Bedouin tradition, poured over your hands when you arrive at camp. As the Bedouins were desert travelers, they did this to refresh their guests and wash away any unpleasant smells they had garnered through their travels. Arabic Coffee is a bit more interesting, as there are two ways to greet someone with it. The first is with half a cup; this means you’re welcome to hang around for a while. But if you are poured a full cup, you’ll have to quaff it and be on your way. There’s a lot more in Arabic greetings than what’s been covered here. Using different greetings makes you sound fluent. So, try to remember as many as you can. 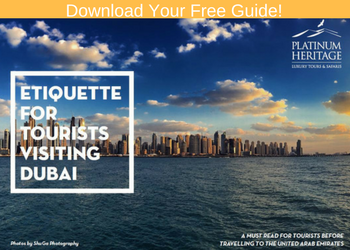 For more information on proper Arabic greetings, be sure to download our Dubai Rules & Etiquette Guide.